The 2000 Dow's Vintage ($150.09) is a fortified wine made by Dow's Port from Port from 2000 and shows an alcoholic strength of 20%. At Uvinum, this fortified wine scores an average rate of 4,3 of 5 points and obtained the following scores: wine spectator: 93.
deep purple so dark they are almost blue / black. 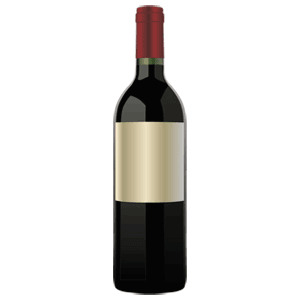 It is a great strength of wine with excellent aromas of plums and cassis. In the mouth we find jam flavors of currant and spices, as well as great depth and structure. - View: purple blue opaque. - Nose: aromas of flowers, licorice, blackberry and cassis. A bordeaux red. Compote of red berries on the nose this Dow's. I felt a taste of licorice. A good wine to end a meal. For wine as Dow's Vintage 2000 at Uvinum and you surely will not regret it. Aromatic and floral, with an excellent balance of fruit, tannin and acidity. It is one of the most coveted wines of the year, in which Portugal has been one of the protagonists. With the 2011 vintage, Douro vintners hit the jackpot. This aromatic and floral porto has an excellent balance of fruit and tannin. A beautiful vivid colour. It reminded me of black plums. - Nose: aromas of plum, cherry and cassis. 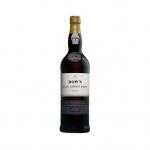 If you want to buy 2000 Dow's Vintage, at Uvinum you will find the best prices for Port fortified wine. Get it at Uvinum, fast and 100% secure. We bring you the largest catalog of more than 59.000 products becoming this way the leading marketplace to sell wine, beer, and spirits in Europe with more than 38.000 clients who trust us.